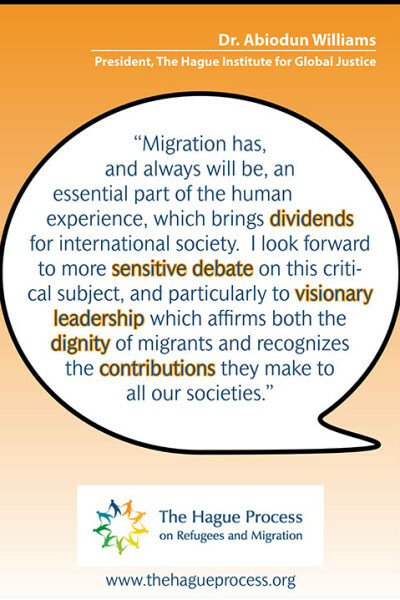 At the start of this year THP asked a number of influential thinkers to reflect on their hopes for the future advancement of the refugee and migration agenda. 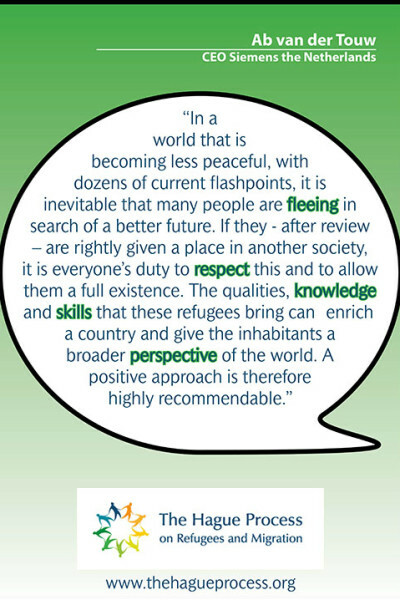 The responses cover a range of local and global perspectives and give us an insight into the diversity of issues affecting and affected by the refugee and migration agenda. As a Research Volunteer, you will assist the Coordinator of Research in project work. This includes, amongst other tasks, conducting basic research on specific allocated subjects, data mining and data collection, producing data output, producing summaries from reports, and conducting literature reviews. THP offers volunteers the opportunity to develop their professional skills that will be essential to any future employment. 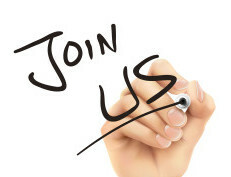 In addition, you will benefit from having access to our publications and events. 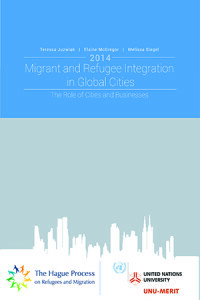 The Hague Process on Refugees and Migration (THP) in partnership with UNU-MERIT and Maastricht Graduate School of Governance, has published a report on how businesses and governments in global cities contribute to the economic and social integration of migrant and refugee populations, either through outreach, specialised programmes, the provision of services or targeted funding of NGOs; and to what extent these contributions can be deepened or expanded. The study focuses on efforts by the private sector and city governments – both separately and in partnership – to give these groups greater protection and opportunities in employment markets and communities. 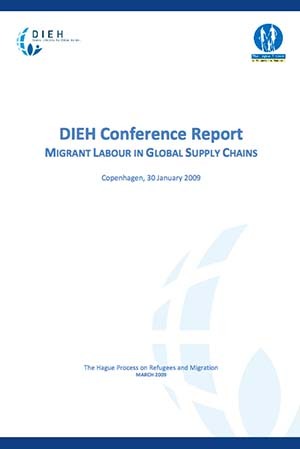 The report is accompanied by eight individual case study reports, one per city, which provide further background information and discussion for the interested reader. 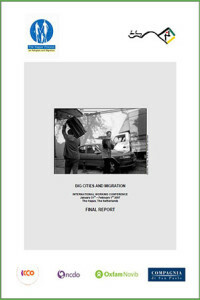 The final report and the individual case studies are available here. 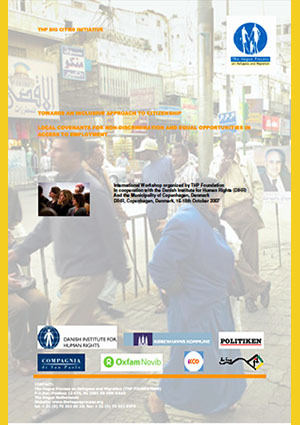 Partners: City of The Hague, Compagnia di San Paolo, ICCO, Oxfam Novib. 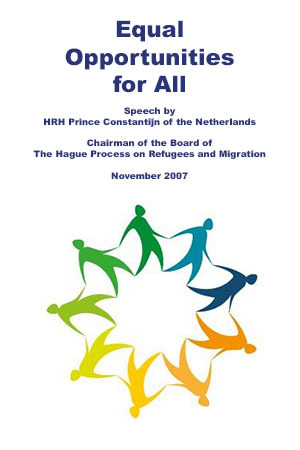 International Workshop organised by The Hague Process on Refugees and Migration within the World Conference on the Development of Cities: Democratic Innovation and Social Transformations for Inclusive Cities for the 21st Century which took place in Porto Alegre, Brazil, in February 2008. 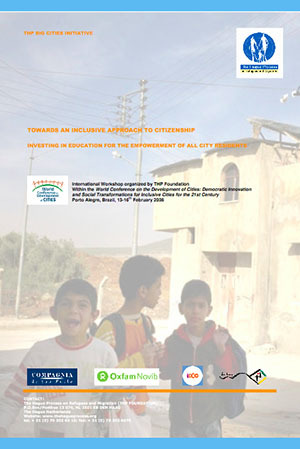 To what extent is education the key to the inclusion and empowerment of all in the city? 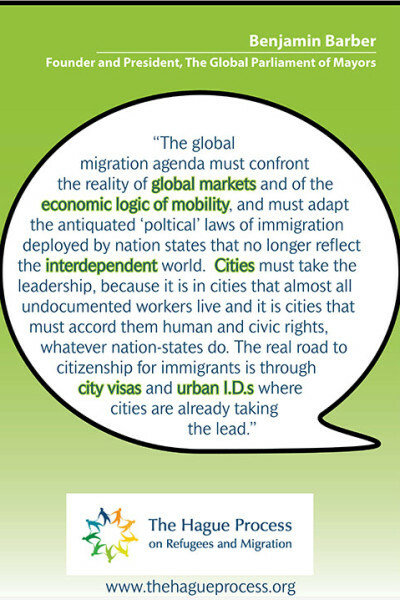 Is it a required focus for a holistic human rights based approach to personal and collective development in the city? 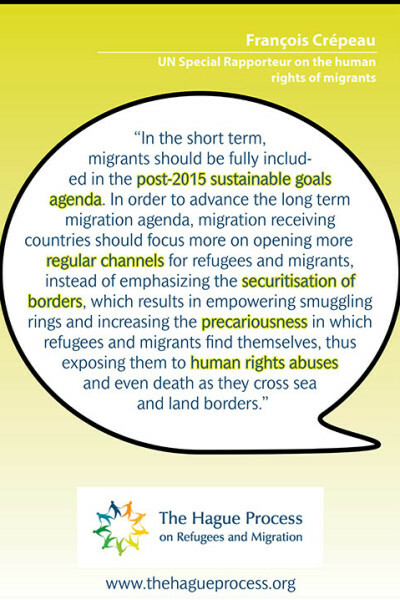 What are the challenges in terms of effective and equal access for refugees and migrant populations? Beyond access, what proactive policies can enable newcomers to overcome barriers (language, school environnment, orientation…)? Which stakeholders should be engaged and which partnerships established ? 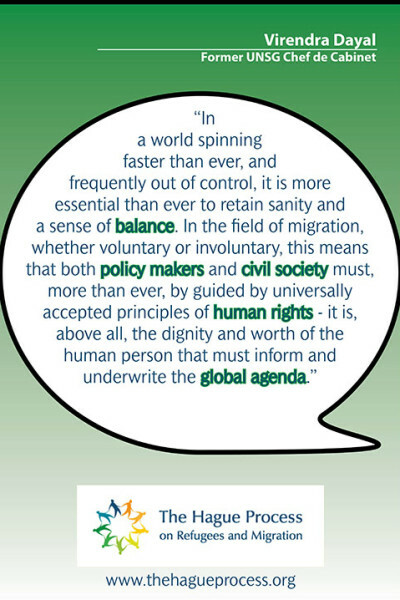 These are some of the framing questions which guided the work of The Hague Process on Refugees and Migration within the World Conference on the Development of Cities. Challenges were addressed by participants from Cairo, Johannesburg, Sấo Paulo, Lyon, Turin and The Hague on the basis of their respective experiences in the field of education, human rights and migration. The initiative unveiled pathways to advance the realization of fundamental rights to education and inclusion of all city residents. 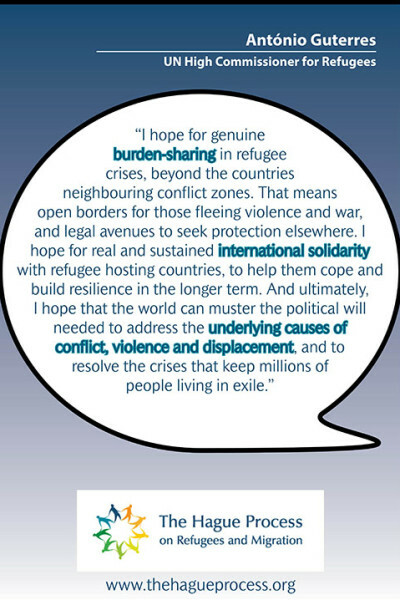 The initiative received support by UNESCO, by way of its Assistant Director General for Education Mr. N.Burnett.